I've never read a Jessi Kirby book, but I think this was a pretty good one to start with. Quinn is a girl whose boyfriend died their junior year of high school and, in order to gain her closure, she sets out to find the people who received his organs. This part is mainly backstory, which is good because it's terribly sad. In the process of all of this Quinn basically let's her own life go, so when we meet her in the story, over a year after Trent's death, she is really just a shadow of her old self. Out of the people who received Trent's organs, she never meets the one who has his heart- he doesn't want to be found. So, she takes the matters into her own hands. This story seems a little far-fetched and pretty dramatic, but after you get through that part of the premise...wow. Quinn pretty much "accidentally" meets Colton, the recipient of Trent's heart. She doesn't mean to speak to him, she only wants to see him but, of course, the universe has other plans. Quinn and Colton are basically thrown together in a meet-cute that ends up with Quinn getting stitches because she's a hot mess. I love, love, love, the develop of their relationship. Everything is so sweet and slow. Each interaction leaves you wanting more, but fills you with dread at the same because you know that each of them has a secret. From the minute he tricks her into giving him her number to their first kiss you can see each of them become more alive and open...which is why when the truth does come out it crushes you. What I liked the most is that the drama is easily solved here. I hate when things that can be easily ended are dragged out, and Kirby does not disappoint here. The ending is powerful and lovely as both of them come to terms with what they've done wrong, but also with what is right - and what is right in front of them. I also loved the whole family aspect of the story. The main characters are just that: main. No meddling friends to worry about, just the close-knit family dynamic of people who truly care about the main characters. 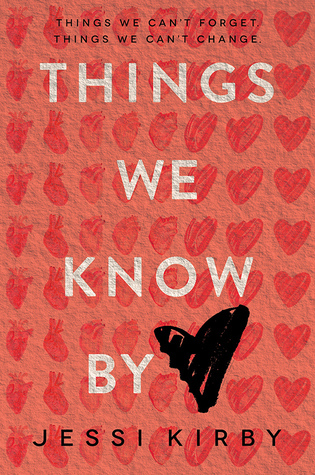 In short: this book was all things sweet and angsty and beautiful. Give it a try.